The bells in the Church tower were restored in 2010 and it was felt important to undertake a survey of the graffiti that was in the tower before the work was done. Not to have done so would have meant that much of the graffiti could have been destroyed or at least covered from view with the installation of the new bell frame. Consequently, Peter and June Carter surveyed the tower in 2009 and produced a comprehensive report that can be viewed here. 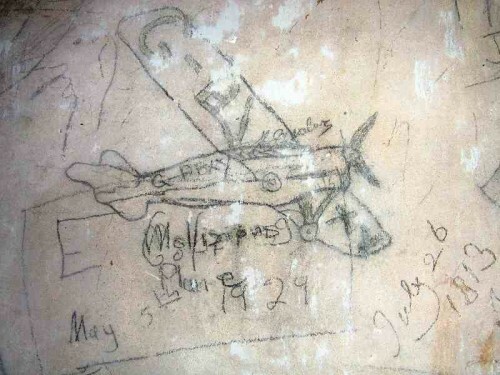 Most of the graffiti is relatively modern, dating from the 1920s to 1950s, but the earliest claims to be from 2nd June 1646 (Joseph Bell) and two others from the 18th century ("F Jacobs 1766 bellringer" and possibly "G Flower 1793"). Whether the authenticity of the dates will ever be proved is doubtful!